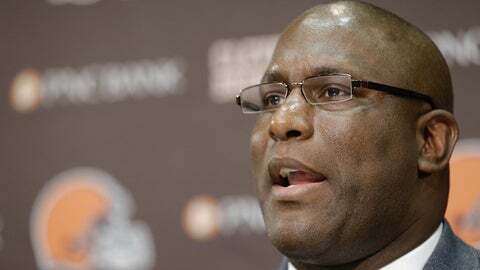 Browns general manager Ray Farmer thinks his team can reverse their fortunes after a 2-5 start. Browns general manager Ray Farmer wasn't around for the first four weeks, but he feels the pain of the team's disappointment as much as anyone. Farmer, who was suspended for four games for his role in Textgate, says the entire organization has to take a hard look in the mirror to turn things around for the Browns, who are off to a 2-5 start. Farmer has seen positive strides despite the team's record, noting the improved passing attack as opposing defenses have focused on stopping the run. He expects the team's sense of urgency to lead to better performances over the final nine games.